CNMAT's expanding collection of Max/MSP/Jitter patches designed for composers, programmers, performers and music educators. The MMJ-Depot includes basic programming tips, modular programming units for copy and paste, interactive tutorials on all aspects of computer music, and functioning musical works with commentary and criticism. The MMJ-Depot is available as a single [https://github.com/CNMAT/CNMAT-MMJ-Depot/zipball/master|download here]. 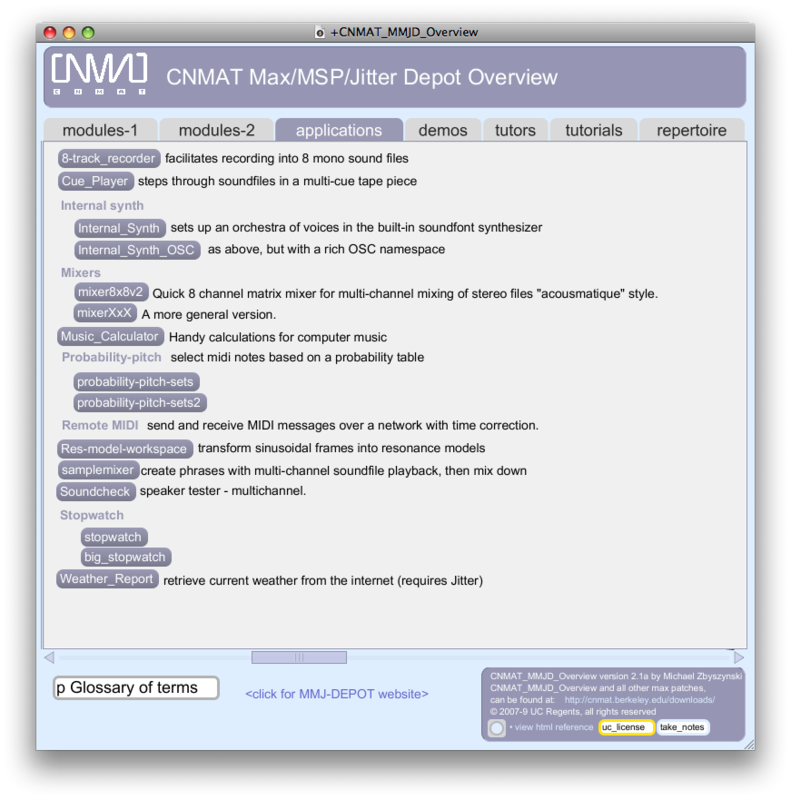 [cnmat:node/2927| Design and Implementation of CNMAT's Pedagogical Software (ICMC 2007)] explains the genesis and structure of the Max/MSP/Jitter (MMJ) Depot.